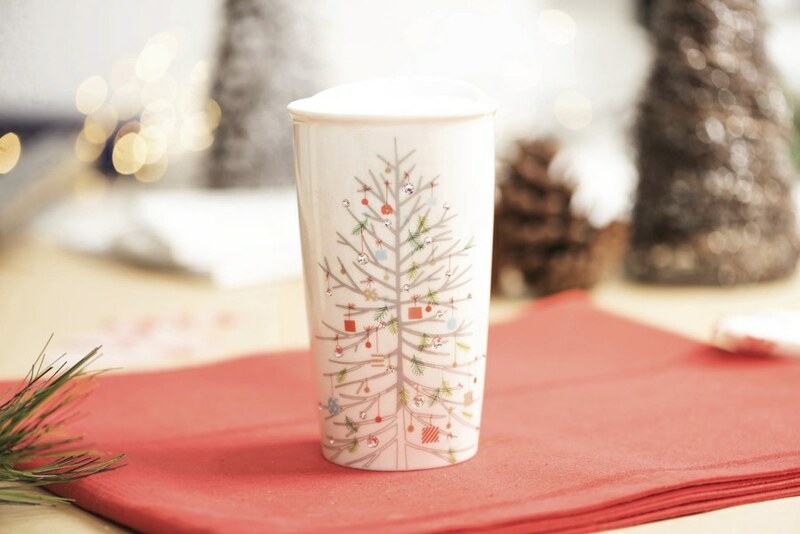 Christmas is the season of giving and it seems like Starbucks just can’t stop giving. 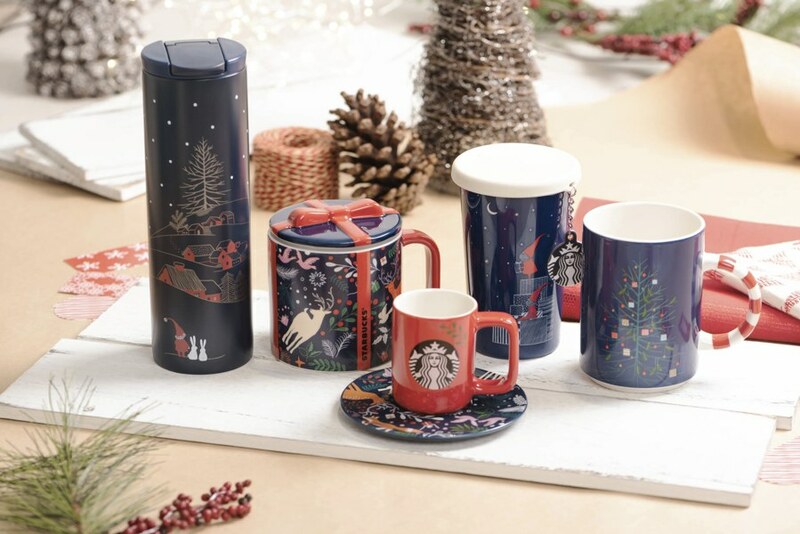 Starbucks is offering a wide range of Christmas mugs, tumblers and other merchandise in exclusive designs from today (26 Nov). There will also be a 1-for-1 promotion on all venti-sized drinks so you can put the tumblers you buy to good use. There’s no point going to Starbucks without buying a drink. The special 1-for-1 promotion will be a perfect excuse to get your caffeine fix there. 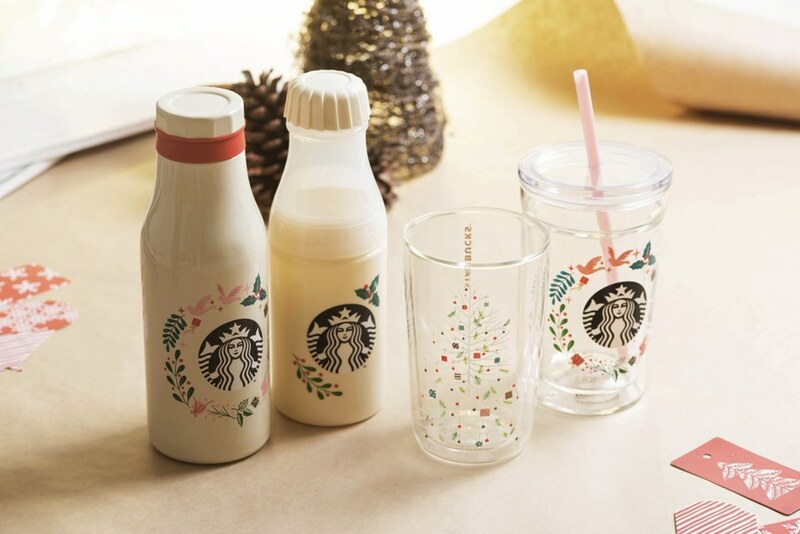 Go to any Starbucks outlet and buy any venti-sized drink and get one free from tomorrow (27 Nov) to Thursday (29 Nov) between 3pm-7pm. 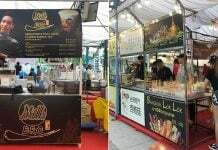 Each customer can only order a maximum of two sets, which adds up to four drinks in total. That means, you can still treat your colleagues to a midday coffee. If you only need water to get you through the day, these bottles are perfect for you. 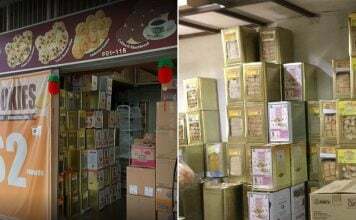 S$29.90 might be a lot to pay for a plastic bottle but nothing beats the price of keeping you and your Christmas spirit alive. 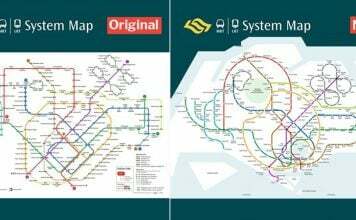 For those who prefer pretty to cutesy or can’t decide between both, you can pick from these subtler designs. 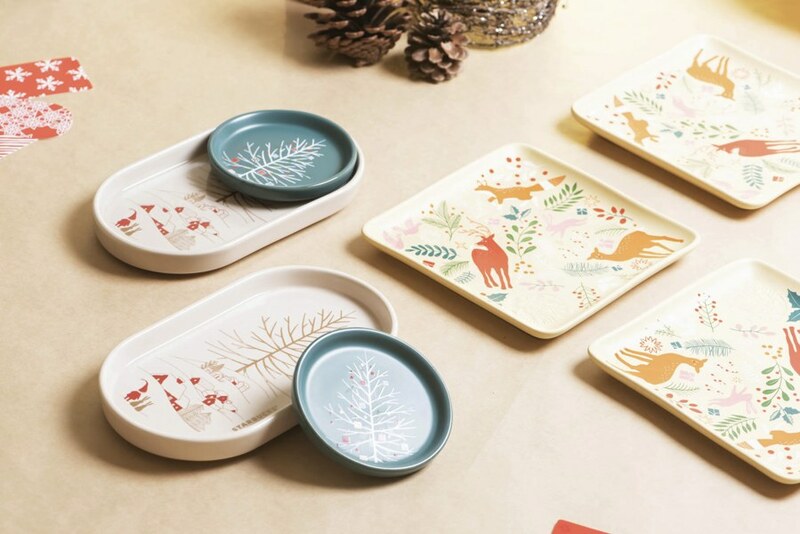 These clean, minimalist designs have us thinking of Christmas in Japan. That bottle could be filled with fresh Hokkaido milk for all we know. 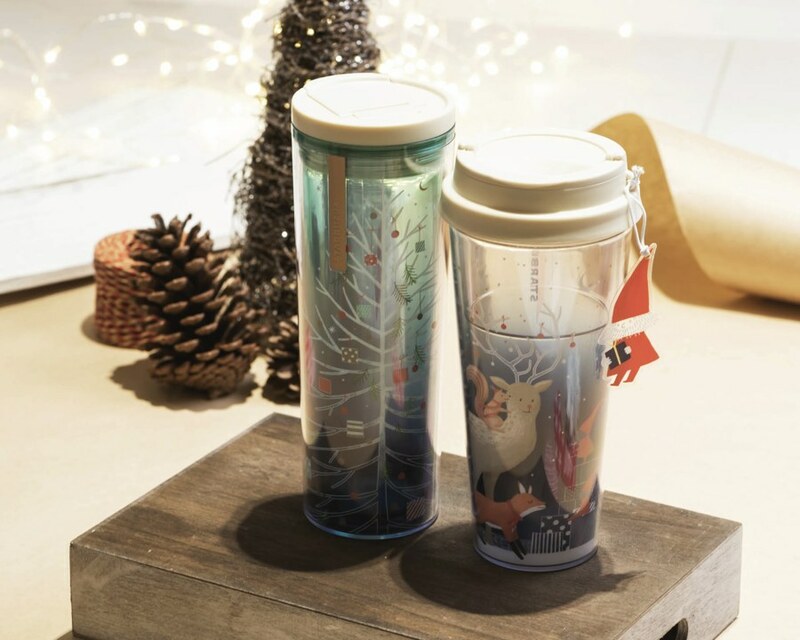 Winter may not be coming to Singapore but you can get in the feels with these cool-colour-toned tumblers. The only chilling that’ll happen around here is when you sit back and sip on a nice drink. 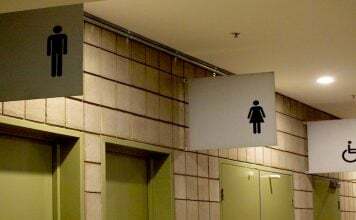 Hot or cold drinks often taste weird at room temperature, so you’d enjoy it better if you can keep your drinks at a constant temperature for as long as possible. 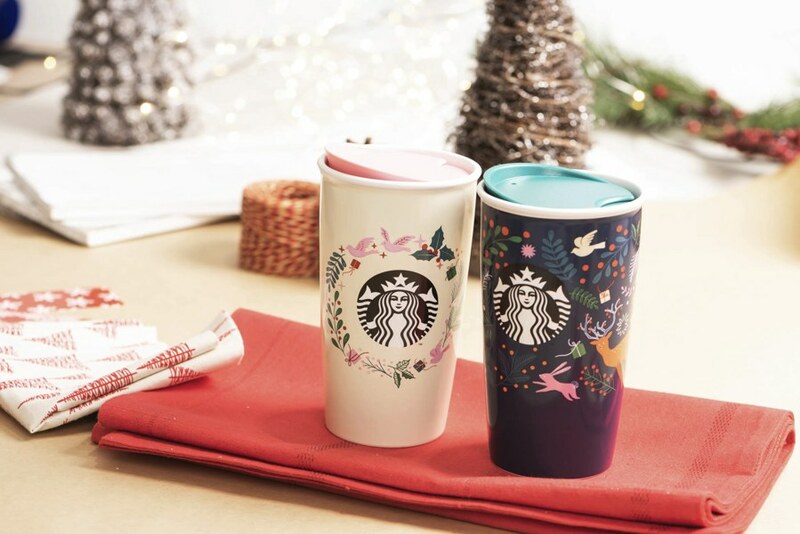 These cups which go for S$34.90 will keep a lid on your drinks so the only tea you’ll be spilling is about the hot date you went on recently. Fun and festive colours too bright for you? Go fifty — or maybe a few shades darker and get something from this elegant collection instead. Take your classiness up a notch with this crystal-studded Swarovski mug. 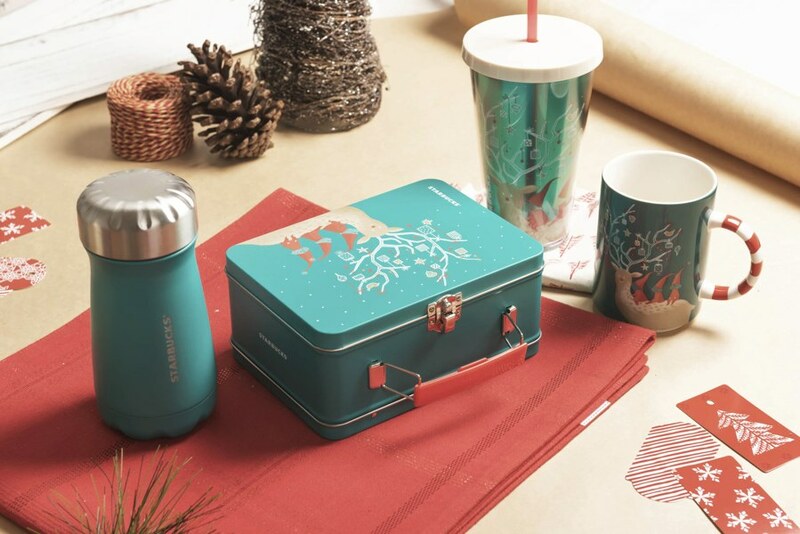 Or glam up your entire lunch experience with a complete set that includes a cold cup, lunch box, mug and S’well Bottle. 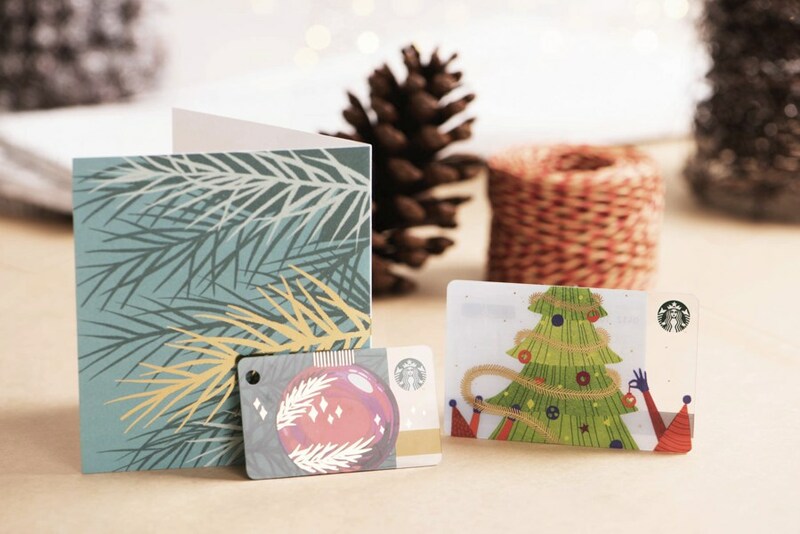 You can get a gift card with the Starbucks Greeting Gift Card when you top-up at least S$20. That’s a card and a gift in one set so you can save yourself the headache. 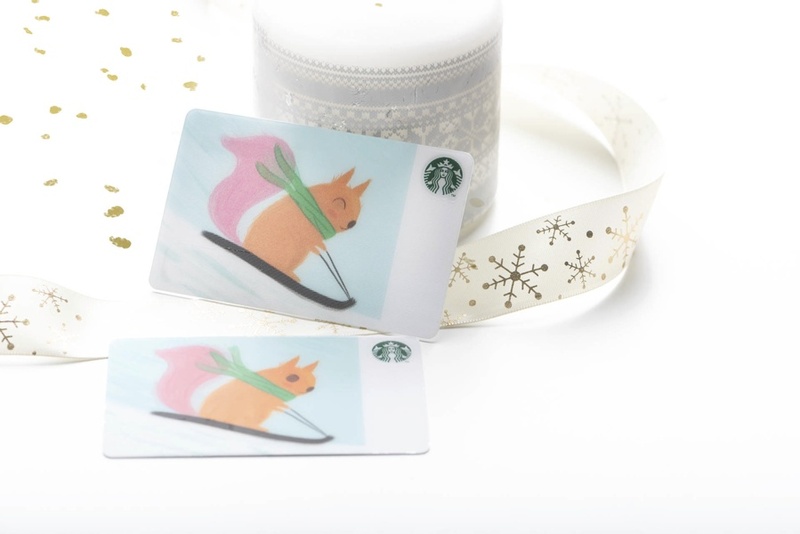 The gift card with the Christmas tree design alone is free with a minimum S$10 top-up, just like the ones with the cute squirrel skiing. New festive gift card designs will be available weekly, so you can get a different one for each acquaintance you’re not very close to but still have to get a gift for. Starbucks’ offers aren’t all Christmas-specific. 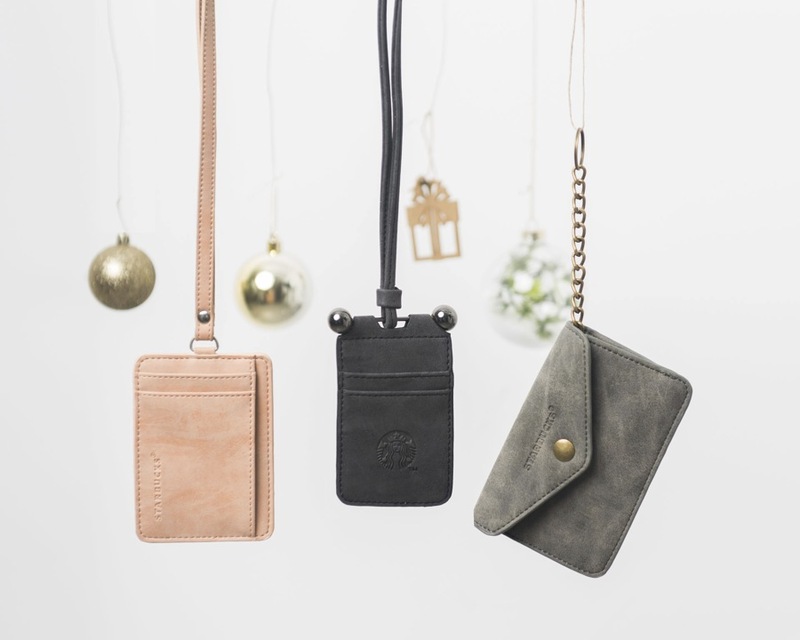 These elegant cardholders will make tapping your EZ-Link cards a more stylish affair all-year round. You can’t let your cards and newly bought tumblers sit plainly on your table. Get some trays and coasters to hold these precious purchases. 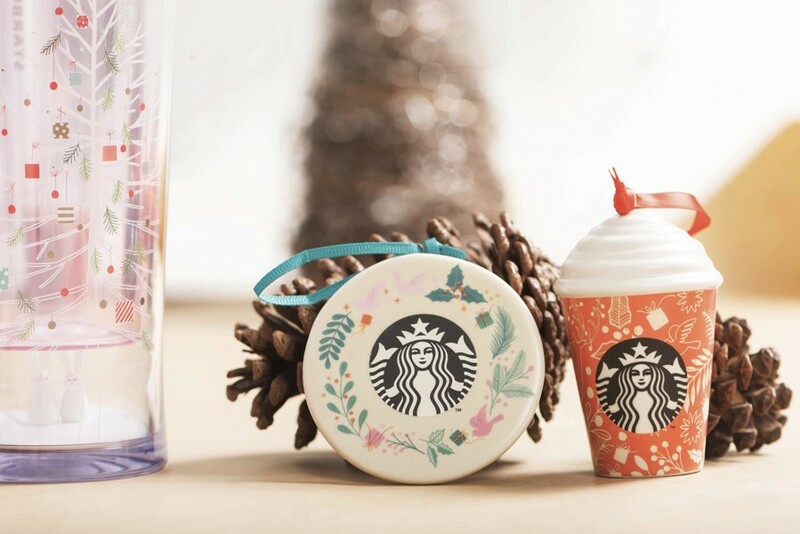 Put your Starbucks obsession on full display with these ornaments that you can hang on your Christmas tree. 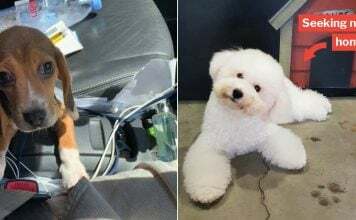 Once Christmas is over, you can be creative and turn them into cute accessories to rival the teh ping earrings. 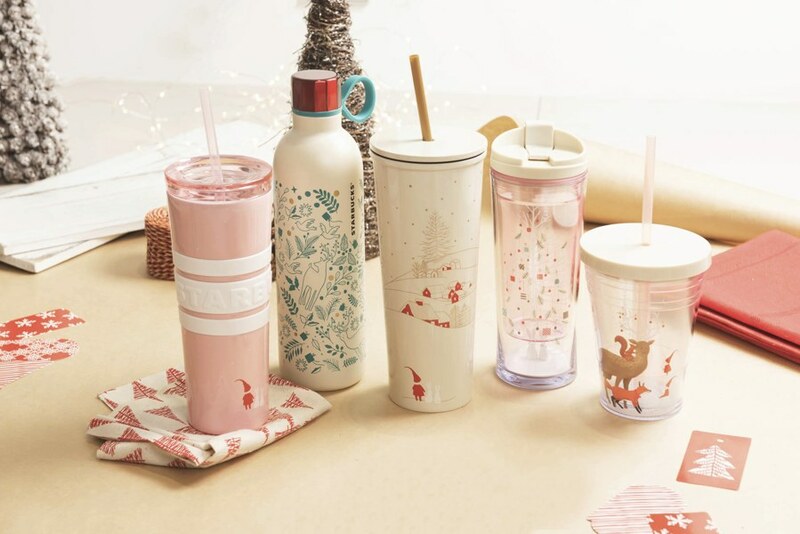 Starbucks is collaborating with Los Angeles-based lifestyle brand ban.do for a limited edition collection consisting of a cold cup, a mug, a tumbler and a pouch. Even if you’re not a fan of flowers, plaids or pink, you can’t deny that the designs have a very vintage vibe to them. Prices including shipping on ban.do are only revealed at checkout. Frustrating, right? 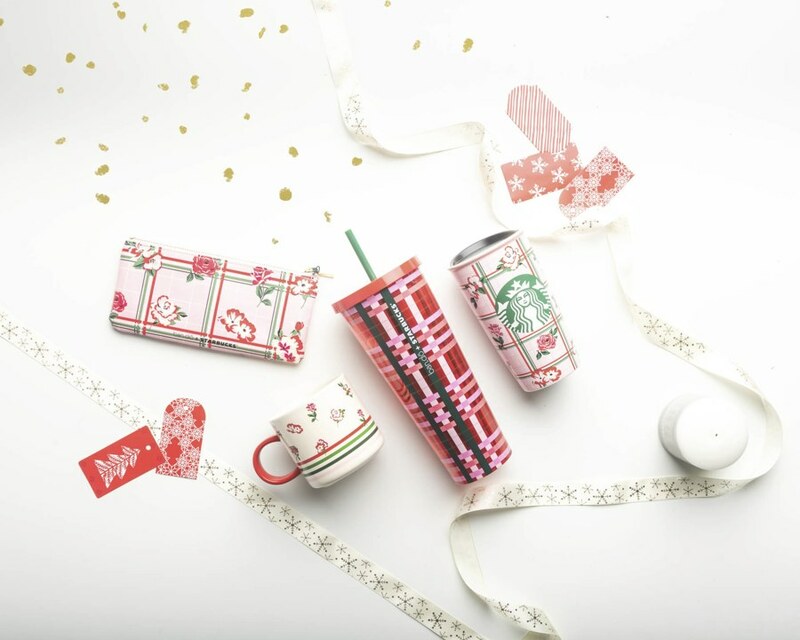 Save yourself the suspense by getting their fun designs from Starbucks at the following prices. 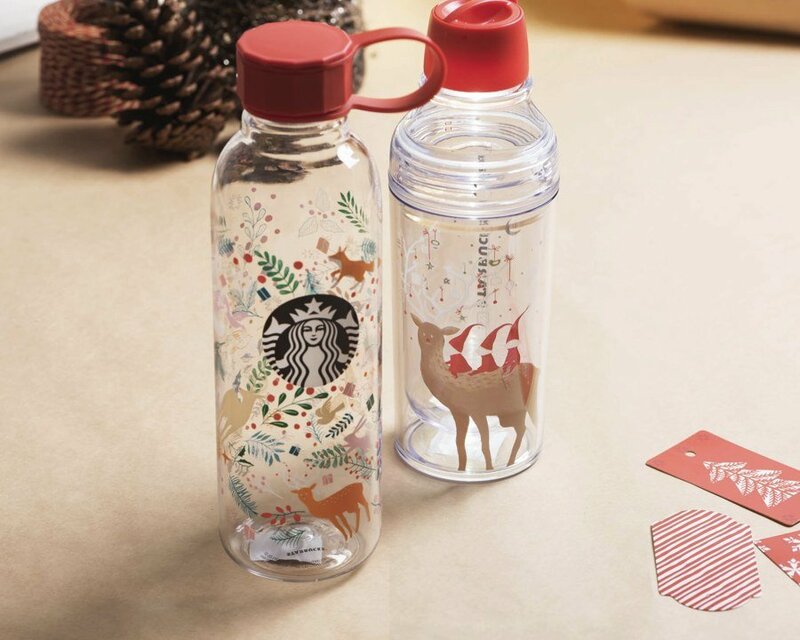 The Starbucks x ban.do pouch is only available at selected stores so make sure to check before rushing to get it. 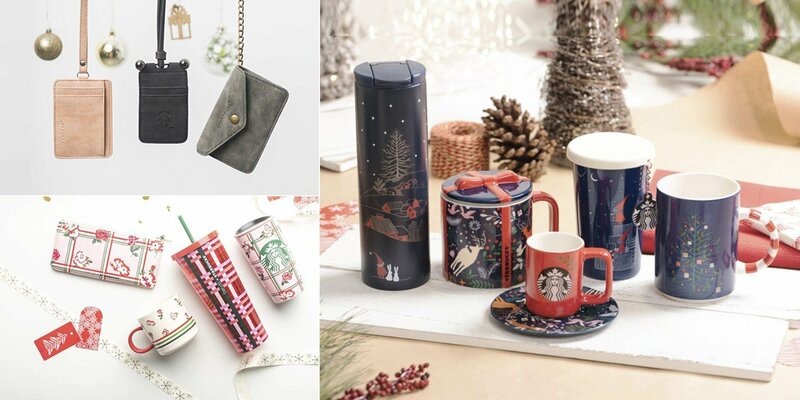 Start getting into the festive spirit early and snag yourself one of Starbucks’ Christmas merchandise before they run out. 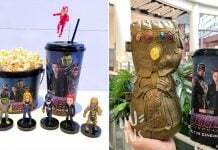 All images courtesy of Starbucks Singapore.